My but it’s been a long while since I’ve put word to blog. And no small wonder: the world of fancy and delicious coffee’s exploded greatly in the past decade, writing about its joys has become an area of expertise in and of itself—a living, even. In the time between then (yours truly’s early fascination with pretty lattes and great places to sit and kibbitz with coffee pros) and now (near-total fancy coffee supernova), really, so much has happened. With this advent of coffee’s new horizon and the awakening of so many to it, a comprehensive guide was in order. In collaboration with aficionado Avidan Ross and the help of more than 150 passionate coffee professionals, I’ve helped put together this guidebook for Phaidon, Where to Drink Coffee, hitting the shelves July 2017. I hope that within it you’ll find not only confirmation that your favorite shop (anywhere in the entire world) made our pages, but that you’ll begin plotting out a mental map of wish-list destinations for all your future travels and coffee adventures. 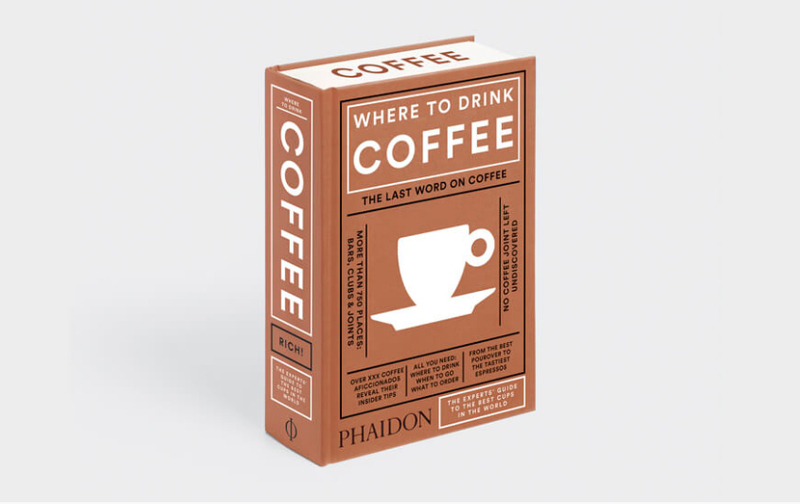 It’s exciting to see coffee thrive so much that a guide like this can exist, and heart-swelling to see a marvelous imprint like Phaidon take up the torch of helping spread its gospel. Until then—or perhaps after you’ve digested its many pages, and are left wanting more—here are a few other links to my coffee writing that may tide you over on those late nights when you’re already looking forward to morning coming and enjoying the glow of the day’s first cup. I am honored that my first book, Nice Coffee Time, was released on Tiny Person/Presspop out of Tokyo in 2013, and while the title is sold out in Japan, some copies remain for sale here in the United States. I am also the Associate Editor at Sprudge.com, a position I’ve been delighted to hold for several years working alongside friends to help elevate the coffee industry while being entertaining at the same time. They also let me write articles, which you can read here. I recently had the pleasure of recapping the evolution of the NYC coffee scene, which I’ve observed closely in the past decade, for the Village Voice. I’ve also written about coffee for Epicurious, Bon Appetit, Edible Manhattan/Brooklyn, and Imbibe, to name a few. For a long time, I wrote regularly about coffee and tea for SeriousEats.com.